I’m super excited to be up and running with a new blog. 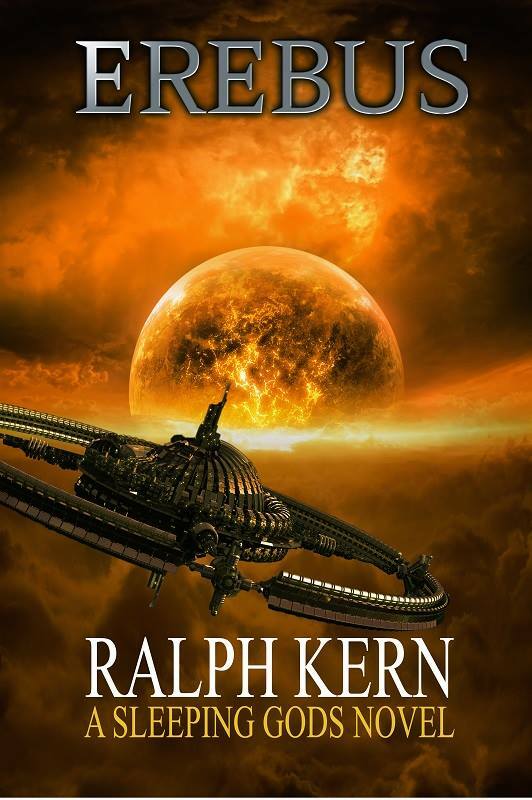 I plan to do at least two interviews a month, and I had the pleasure of ‘sitting down’ with Ralph Kern to ask him a few questions. Ralph released his first book Endeavour last year and it has done very well. It was one of my favourite reads in the past twelve months and I was lucky enough to read an early version of Erebus, the follow-up, and can’t wait to see the finished product. It should be released in the next month or so, so keep an eye out for it. Ralph Kern is a uniformed officer in the West Midlands Police in England. He earned a degree in aerospace technology and also received his pilot license in the United States. 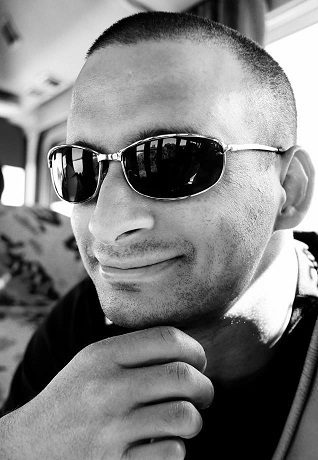 Aside from writing, he enjoys traveling, scuba diving, and long-distance running. Nathan: Ralph, your new book is coming out very soon. Can you tell us a little bit about it? Ralph: Erebus is set in the same ‘universe’ as Endeavour, one where humanity is taking the first tentative steps out of our solar system. To the vast majority of the population, it is very much a golden age, somewhat utopian and generally a bright future. There are still pockets of tragedy however and the main character is a Police officer seconded to The Hague’s War Crimes investigation division. The story starts with him looking into an atrocity that has occurred in a country that is still wracked by civil war that the rest of the world has given up on. Events take a turn when Io, a moon of Jupiter is destroyed in a seeming terrorist attack and he is assigned to the task force sent to investigate. From there things really take off as they struggle to find out who did it and why. Their quest takes them to the frontiers of human space and beyond. While it has a bit more action in the classic sense than Endeavour, for those who like the big issues, exploration, hard science fiction and ancient mysteries that I brought forth in the first book will hopefully love this one. 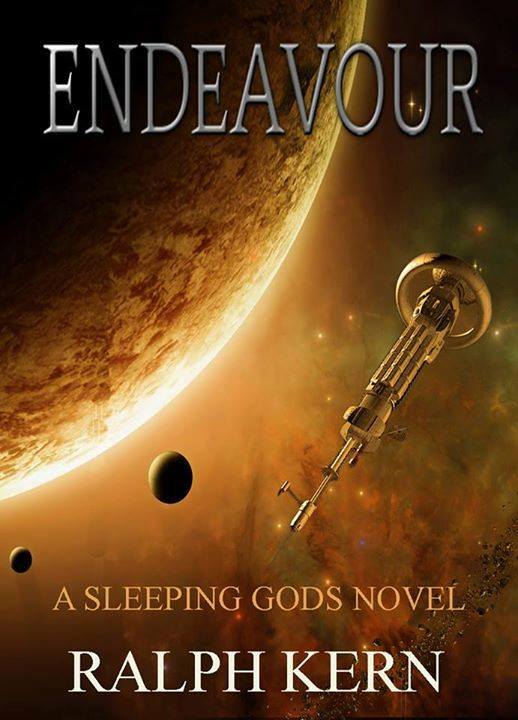 In many ways, Endeavour was about creating the Sleeping Gods universe. Now it’s time to start telling stories within it. While Endeavour and Erebus can be read as stand-alone books and in either order, they both form part of a much larger story arc. Nathan: The main character is a police officer. Was it fun to take your everyday profession and utilize it for your writing? The other thing I find interesting about making the main character a cop as opposed to say a soldier is that different goals drive us and that presents different challenges. Trent isn’t out to kill the baddie or destroy anything, he wants to bring him to justice. In many ways, that ties his hands in situations where it might be easier to shoot. Nathan: Erebus is the second book in the Sleeping Gods Universe. Is there another one in the works? Ralph: Yes there is. The working title at the moment is Endings. While I don’t envisage it to be the ending of my writing in this universe, it will close off the plot arc started in Endeavour and Erebus. At the moment though, it’s looking like it will be a pretty big affair, so it may yet get split in two. Nathan: Well I look forward to reading all of them. I understand you are also in the process of working on a stand-alone book unrelated to the others. How have you found it working on something totally different? Ralph: Sometimes a change is as good as a rest. Uncharted is more a contemporary military thriller with some SF elements to it. In many ways that makes the research harder as I have to ensure everything is bang on accurate. For a flavor of what Uncharted is like, imagine a cross between The Last Ship and Lost – People in very desperate circumstances struggling to do the right thing. I have very much enjoyed writing Uncharted though, once Erebus is out, I’m going to turn to getting it beta read and edited and I look forward to getting it out there. Nathan: That sounds really interesting. What is your favorite thing about being an author? What is your least favorite part? Ralph: My favorite part by far is the research. I’m a total geek on that front. I then like putting that research into plausible applications. Uncharted especially has more than one ‘McGuyver’ moment as they have to use what resources they have to solve problems. Least favorite part? Editing! The process of going over and over your text trying to hammer it out into a readable format. Fortunately I have a great editor who I work well with but still, I must make her eyes roll on occasion! Nathan: I know you are an avid reader and I’ve even read a few things based on your recommendations to me, so can you tell us what the last book you read was and what you are reading now? Ralph: The last book I finished was by a very talented writer called Peter Cawdren, My Sweet Satan. It’s a deliciously spooky hard SF and his writing skill is quite humbling. While I wouldn’t go so far as to say he’s ‘undiscovered’ he certainly hasn’t had the main stream exposure he deserves – so read it. At the moment, I’ve dived into The Lost Fleet… errr Steadfast? (There’s loads of them!). They’re a nice easy reading guilty pleasure of mine. Nathan: I have My Sweet Satan on my Kindle, waiting to be read in the next couple of months, so I look forward to it. One last question: Star Wars or Star Trek? Thank you so much for taking the time to answer my questions, Ralph. It’s been a pleasure and I’m glad to have you as my first new blog interviewee. To check out Ralph’s work please see the links below to Amazon where you can get Endeavour as an Ebook, paperback, or audiobook. Read it! You’re in for a treat.